“Dunno if I’m out of the loop, but what the hell is this?” Crypt of the NecroDancer player RireMakar asked on Reddit last May. 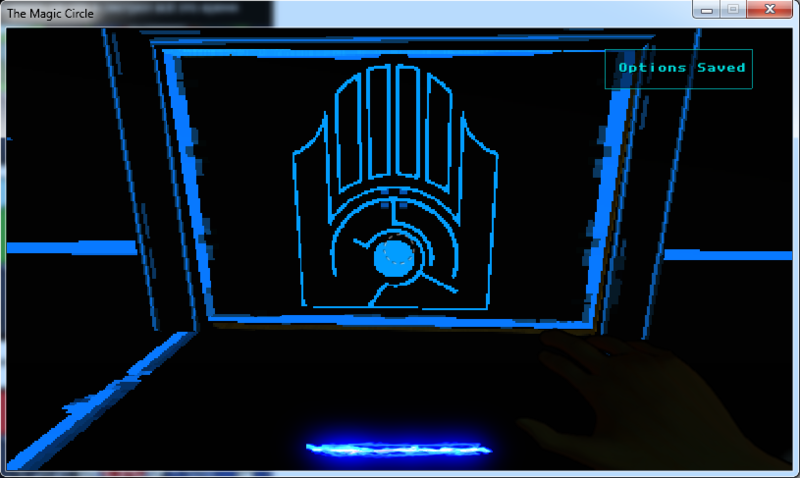 In the main folder of the game’s SteamApp root directory, the data-miner unearthed a cryptic sigil, an iris embedded in the palm of a hand, which he posted online. A few hours later, Josh R. (aka MachMatic), bored, decided to look at the image’s code with a hex editor. In it were indications of another buried image, which he extracted: a few curving lines broken up by circles, with the edges clipped off, signaling that the image was not alone. It was a puzzle piece. Not an Illuminati conspiracy, but a real one, the “Eye Sigil” ARG (“alternate reality game”) is a mystery spanning across at least 19 indie games on Steam. RireMakar discovered the first sigil in indie title Crypt of the NecroDancer; the latest was extracted last Sunday from platformer You Have to Win the Game. “I had speculated that it was part of an ARG when I first saw the file,” Josh R. told me, “but finding an image hidden inside of it confirmed that something was up.” When he and RireMakar didn’t find any more hints after digging for more encrypted clues, they dropped it. But a few months later, a Redditor found a similar sigil in The Magic Circle. That’s when the buzz began. The Game Detectives, a thousands-strong ARG-solving collective that came together to unravel Steam’s Winter Sale ARG, took on the task of investigating the enormous new multi-game ARG conspiracy. The “Eye Sigil” ARG has even crossed over into meatspace. Before he unearthed a puzzle piece, Mutanoman was a lurker on /r/GameDetectives, but never had time to participate in their investigations. A year ago, Prettygreat games released a collecting game called Land Sliders, which had its own ARG. Coordinates hidden in the game led players to IRL USB flash drives around the world. The ARG was solved, but their furtive tactics crept into Prettygreat’s newer title, Slide the Shakes. On the level where a palm-and-eye sigil appeared, the game yielded some morse code that translated to “ARCHUSB,” or “arch USB,” referring to a location detailed in the Land Sliders ARG: an arch in Hollywood, Los Angeles. “It was just a 10 minute drive from where I lived, so I thought I’d check it out,” Mutanoman said in an e-mail. The investigation ended up taking him three trips, since the flash drive was really hidden. He said the container for the USB stick blended in with a pipe in the arch. When Mutanoman drove home and loaded up the flash drive, an image appeared, which he posted to the Game Detectives subreddit. It was another portion of the elliptical map. Quadrilateral Cowboy, Duskers, Neon Struct, Flickers and Moon Hunters are just some other other Steam games in which players found eye sigils. Sometimes, they’re discovered on the game’s website. In other instances, they’re hidden on in-game objects, like doors or NPCs’ items of clothing. In Mos Speedrun 2, one was found in a secret area that’s only reachable by jumping through a roof tile. 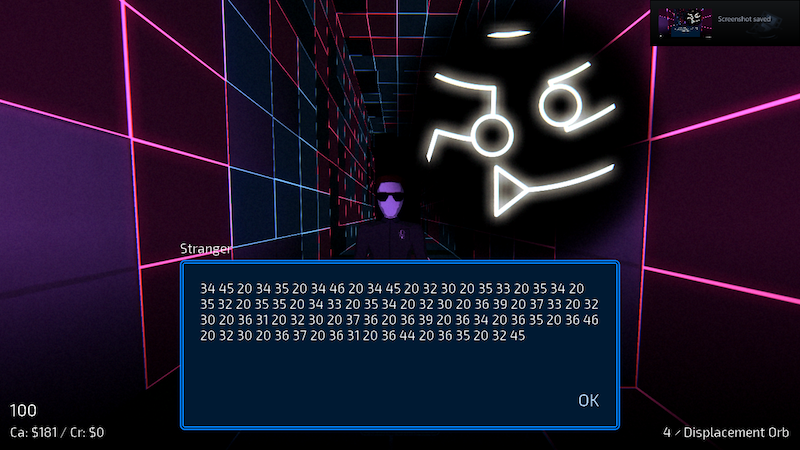 The ARG’s depth conjures images of indie developers meeting, hooded, somewhere dark and remote, crafting arcane sigils deep in their games’ code. It’s a modern-day cryptic conspiracy, almost too absurd to be real. The ARG’s participants, however, have no doubt that the mystery is an intentional and coordinated effort. “It would be impossible for all these developers to place the exact same symbol in their games alongside a fitting piece by chance,” Josh R. told me. He added that the Game Detectives are careful not to jump to conclusions when they find a new sigil. “We can’t be completely sure that [new games] aren’t a copy-cat doing so for attention.” To fact-check their findings, they look into a new indie game developer’s credibility and assess how well-connected they are to the game development community. “As he drew nearer, I saw that this person was actually Michael Cera! I was like, ‘Wow, Michael Cera!’ and he said, ‘No, I only took this appearance so you would not be afraid.’ It was very comforting. He took a piece of paper out of his pocket and and handed it to me. I saw a strange symbol on the paper. ‘What is this?’ I asked. But when I looked up, he was gone! Suddenly, the paper in my hands burst into flames! After the paper was consumed, I looked at my hands to find two symbols seemingly tattooed there. Startled, I awoke.... only to find the two symbols actually on my real hands! At first I was worried, but it turned out to be drawn on with sharpie, not a real tattoo. I didn’t know what to do about it, so I put the symbols into Legend of Dungeon. Goble eventually stated that he did in fact put a sigil in Legend of Dungeon, but that dream-Michael Cera didn’t verbally tell him to include it. “I somehow knew that’s what he wanted me to do,” he explained obliquely. What?? Duskers developer Tim Keenan, somehow, provided even less clarity. He told me that he doesn’t know exactly what the ARG is about. “For me, it’s kinda like an ARG in an ARG, in a way, because how Duskers got involved is sorta cryptic too,” he said, providing no further details. He’s says he’s received “subtle assurances” that it’s nothing he’d be upset about supporting. A Crypt of the NecroDancer representative declined to comment. The Game Detectives believe that there has to be an “Eye Sigil” ARG overlord, a mysterious puzzlemaster whose encrypted puppetry is his personal entertainment. Responses I received from developers apparently corroborate that there is an inner circle privy to privileged information, and an outer circle of sheep-like participants. Speculation has led the Game Detectives to Kevin Simmons, who produced Kingdom of Loathing (tellingly, @puzzletheory on Twitter). 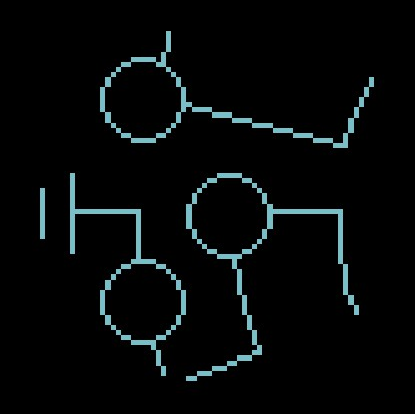 Josh R. explained that Simmons’ connections to other “Eye Sigil” ARG-involved developers piqued the Game Detectives’ curiosity. Apparently, Simmons once provided the Detectives with a hint to track down a puzzle piece, indicating his inner-circle privilege. He did not return multiple requests for comment.